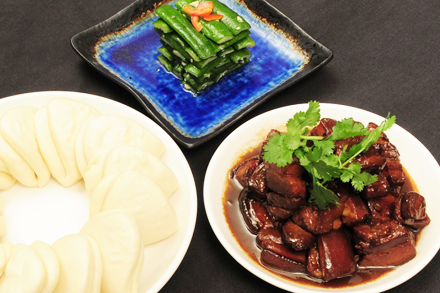 As one of the most beloved food in the world, dumplings are universally enjoyed. Last week I had an opportunity to have great fun by spending an afternoon celebrating their goodness at the 12th Annual Chef One NYC Dumpling Festival. A wide variety of dumplings including Latin empanadas, Polish pierogies, Italian ravioli and Asian offerings with fillings from Korean, Japanese and Chinese cuisines were all offered for sampling. (As a disclosure I am paid to write this sponsored post.) I managed to eat too much that went beyond just sampling. But I was stuffing myself for a good cause. All of the proceeds go to support the Food Bank for New York City to provide hunger-relief. 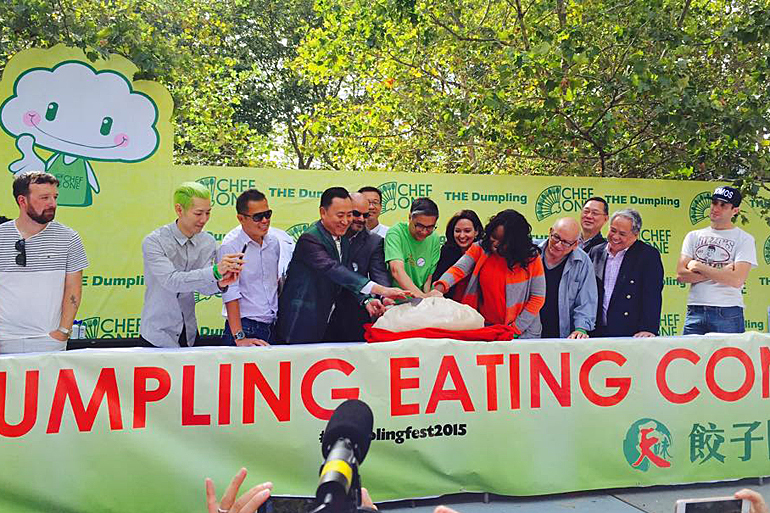 How to celebrate the First Annual “National Dumpling Day” was a problem until I was invited to be a guest judge for the 12th Annual Chef One Dumpling Eating Contest, which is one of the highlights of the 2015 Chef One NYC Dumpling Festival. This year’s festival will be held from noon to 5pm on September 26th in Manhattan’s Sara D. Roosevelt Park (at Houston Street next to the Bowery branch of Whole Foods). 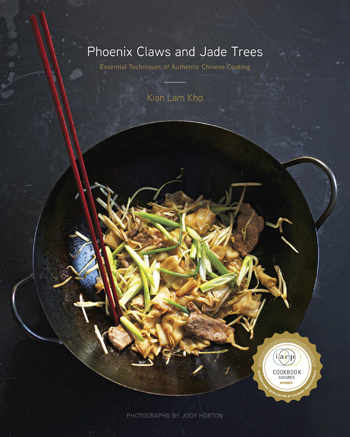 As promised I have randomly selected a winner, or rather Warren did, for Diana Kaun’s new book The Chinese Takeout Cookbook. The winner is “gryhndldy.” Let me congratulate “gryhndldy” and I will be contacting you for your mailing information. 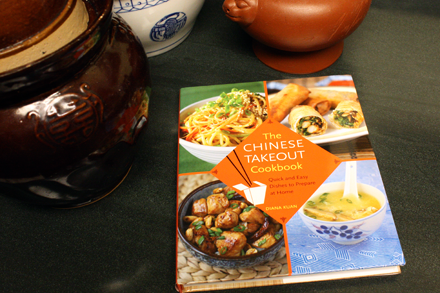 Diana’s book is a wonderful collection of classic Chinese takeout recipes that you can reproduce at home. Diana’s recipes are easy to follow and use ingredients readily available in your local markets. For those who did not win the book go out and buy a copy. 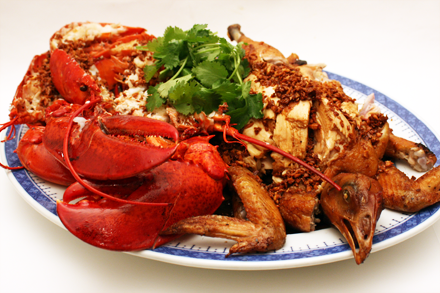 Make takeout Chinese food you can enjoy while controlling the quality of the ingredients, and not worrying about whether your neighborhood restaurant slipped in some MSG unannounced. The last six months of 2012 passed by me stealthily without my realizing it. The new year is here and I find I have neglected Red Cook during those months. But I’ve not abandoned Red Cook, so the report of Red Cook’s death was an exaggeration. With another Chinese New Year coming up, I am determined to restart my blogging effort. 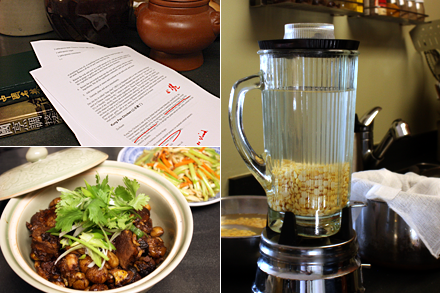 Please accept my apology for this interruption and I hope to engage you in Chinese cooking once again. 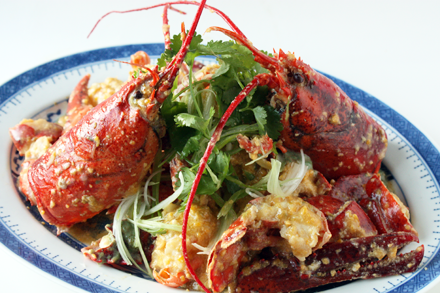 What happens when the cooking of China collides with that of Burma, Thailand, Laos and Vietnam? The result is a fresh cuisine full of bold and explosive flavors. 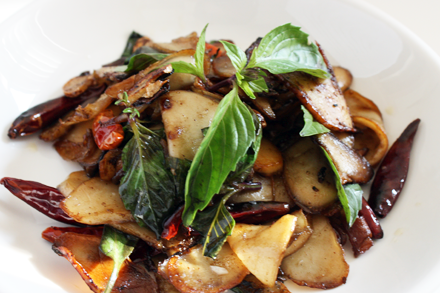 This is precisely what you’ll find in the cooking of Yunnan province of southwestern China. I’ve been researching and developing recipes from this region during the last three months. 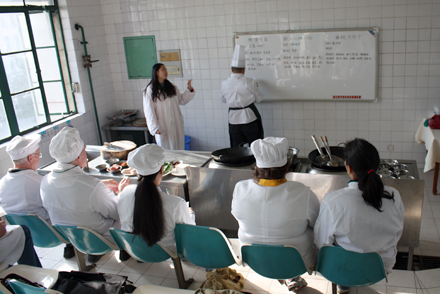 Indeed I took a trip to Yunnan in November last year to get a better understanding of the region’s foodways. Why the sudden interest in this cuisine? I’m glad you asked. I have great news to tell you about my involvement in the imminent opening of a Yunnan restaurant in Tribeca. A month ago Sabino from Baltimore submitted a comment on the Red Cooked Pork Redux post. It was a comment like I have never seen before. Not only was it voluminous it was also very insightful. He asked detailed questions on cooking and serving red cooked pork. I’m gratified that my readers are actually making authentic Chinese food and are sharing their experiences along the way. I feel compelled to devote an entire post to address the issues brought up in his comments. So here I am writing my third post on the subject of red cooked pork. My flight arrived late last Wednesday night into Qingdao (青島) over a crisp clear autumn sky. The brightly lit skyline of Qingdao, a city in the northeastern Chinese province of Shandong (山東), appeared over a dark coastline of the Yellow Sea (黃海). I was very glad to be sitting on the right side of the cabin as it offered a full view of Qingdao city through my window. My excitement increased as we descended into Qingdao Liuting International Airport. 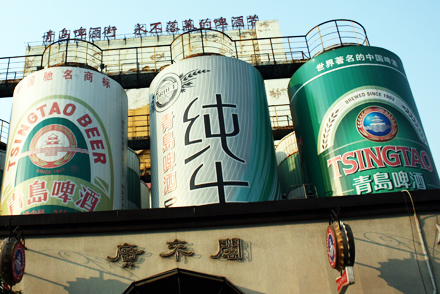 I was about to visit the hometown of the legendary Tsingtao beer.